The best way to start the year is by promoting Openness either in education, development or academic work. 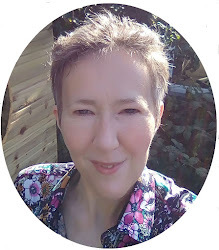 Yes, it is all happening in January, so join or read up, which ever you prefer. Or simply keep informed with the @Open_Con twitter account. 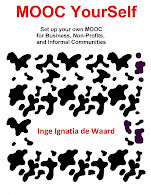 Open Education Resource (OER) novice and champions are invited. Ending our virtual offering will be a unique dialogue – the “Berlin Remix”. 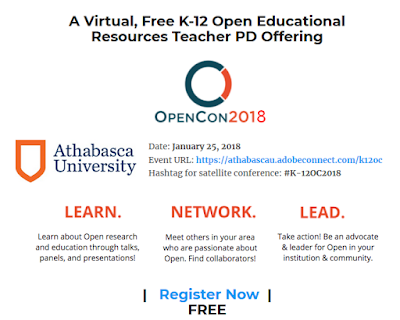 A panel discussion has been organized so that the OpenCon18 K-12 Athabasca discussants (and attendees – asked upon registration) to view in advance a 20 minute video clip. This recording was part of the Berlin OpenCon17 conference where an international panel explored the broad topic of Inclusive Education and how OER responds to diversity and inclusion needs within education. For our panel, the discussants will address this Berlin discussion and will “remix” two questions of OER curriculum creation. 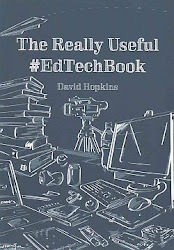 Within an OER curricular resource, how can educators consider: Who is missing? and Whose knowledge is reliable? OER holds opportunity for rethinking how resources are accessed and used by K-12 educators. Come and join the “Berlin Remix” Panel Discussion - and one, some or all of the offerings! 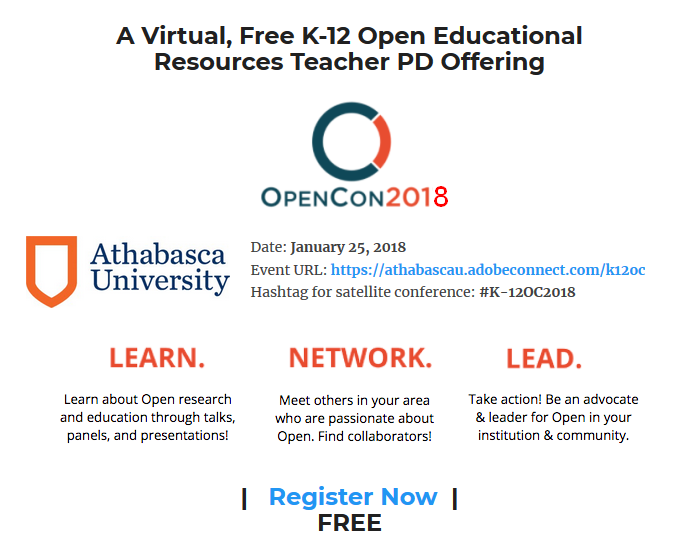 We hope to nurture a K-12 OER teacher network – and this virtual conference marks the first step of this journey. Note: registration is suggested but not required. The K-12 OC will be recorded and archived on the BOLT Multi-author Blog. On November 11-13, the fourth annual OpenCon meeting in Berlin, Germany was held. OpenCon 2017 included a diverse set of panels, regional workshops, project presentations, unconference sessions, and a very first OpenCon Do-a-Thon. These activities are highlighted on a webpage here, so feel free to spend some time exploring and sharing them. You can also find notes to all sessions here, and a full Youtube playlist from 2017 here. The OpenCon Do-a-Thon was organised in November 2017 and deserves a bit of extra attention: building off the concept of a hackathon, a do-a-thon is a work-sprint where people from different skill sets work together and collaborate on different challenges and projects. For OpenCon 2017’s do-a-thon, the focus was on building projects and solutions that seek to advance Open Access, Open Education, and Open Data. 1. Anyone can propose a problem to work on. Is there a big question or challenge you want to tackle in Open Research and Education? Here's a chance to share it with the community and work together on designing a solution. Participants can submit challenges the day of the do-a-thon, but we'd love if folks could submit big questions they want to tackle in advance, too. Find out more about how to submit a challenge here. 2. Anyone can propose a project for others to collaborate on and contribute to. Have a project idea you want to put into action? Or an existing project that needs development or support? The do-a-thon is a great opportunity to receive support and contributions from collaborators around the world. Learn more about how to propose and lead a project here. 3. Anyone can contribute their skills and ideas to existing challenges and projects. Participate from wherever you are by contributing to one or more of the do-a-thon projects and challenges submitted. We expect that most of the action will take place on November 13th, but feel free to get in touch with project leads and see how you can help out beforehand! You can explore the growing list of projects and challenges we're working on here.